TASS, 12 September. A Magadan shrimp burger and fried sprat will be on the menu at Russia’s first fish fast food restaurant scheduled to open at the exhibition area of the II Global Fishery Forum & Seafood Expo Russia. Prices at Russian Fish will also surprise in a good way. The average check for a three-dish meal will come at about RUB 600–700, on a par with other fast-food eateries. For a more sophisticated experience, head to the upscale Russian Fish restaurant, also located at the exhibition’s food court. Guests will be offered an exclusive menu of Russian fish and seafood developed specially for the Forum, including Kamchatka crab, cod and mackerel salads, baked mussels, oysters, scallops, Karelian trout, Murmansk cod, and a lot more. The food court is expected to serve at least 6,000 guests during both events. Yet the main idea of the organizers is to promote and popularize Russian fish products. 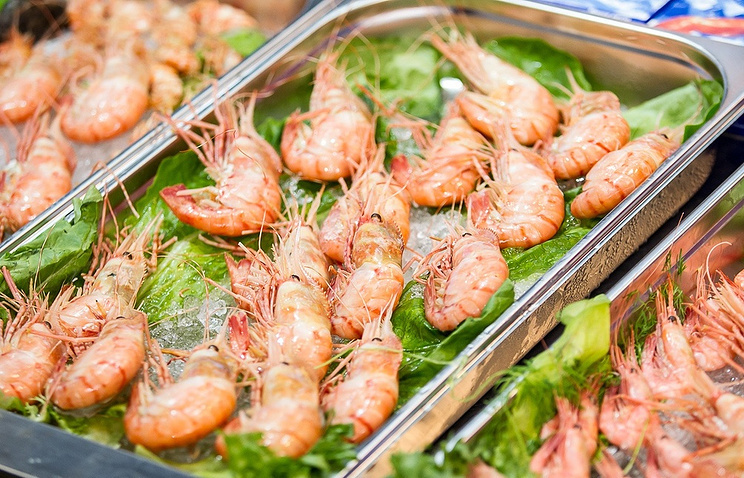 They believe that modern serving techniques, elaborate recipes and diverse menus will help increase consumer interest in Russian fish and seafood. The Russian Fish restaurant project is supported by major fishing companies Magadanryba, FOR Group, Norebo, Murmanseld-2, and FEST. The FOR Group, one of Russia’s leading producers of pelagic fish that supplies 60% of its output to the domestic market, is also a partner of the Forum business program. The II Global Fishery Forum & Seafood Expo Russia will take place at the Expoforum convention center in St. Petersburg on September 13–15. The event is organized by Russia’s Federal Agency for Fishery, with the Forum operated by Roscongress Foundation and the Expo operated by OOO Exposolutions Group.